This is a post sponsored by GoCompare. We’ve been living in Prestwich for over 2 months now and absolutely loving life here; it’s friendly, there’s loads of green space and parks, so much going on for little ones and the high street has all the shops you need. 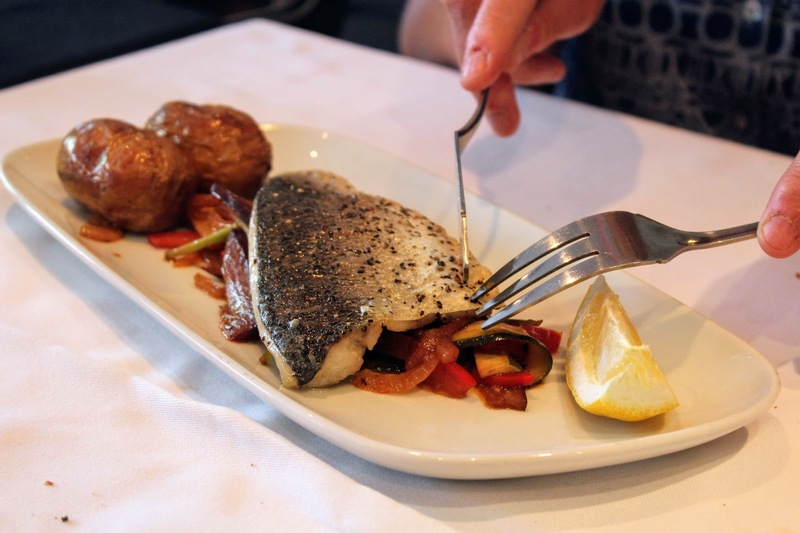 Going from living in Manchester city centre where everything is on your doorstep – including countless restaurants and bars – I was curious about what the town has to offer when it comes to eating out. Luckily there are a decent amount of places to choose, from hipster Northern Quarter inspired cafes and juice bars to Turkish grills and Indian restaurants, which would suit most occasions with different people. 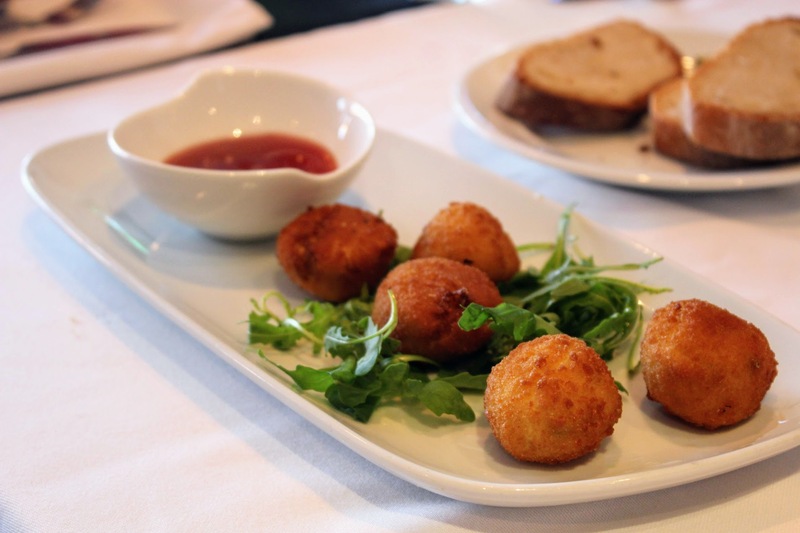 When GoCompare got in touch about the launch of their new incentive scheme in partnership with DINE, part of the campaign was to choose a partnering independent restaurant to review and I was interested to see where would pop up nearby. Although most places are in the city centre, Ti Amo on Bury New Road caught my eye which I’ve walked past a few times and have always been intrigued about, so I chose this for the purpose of this promotion. Essentially, any customer who has purchased car, home, pet, van or bike insurance through GoCompare can claim free membership to DINE which offers a huge range of discounts in restaurant across the country (a cash value of £49.99). There are so many to choose from wherever you live, making this a great scheme to make the most of and allow you to dine out on a budget! So, onto the review. 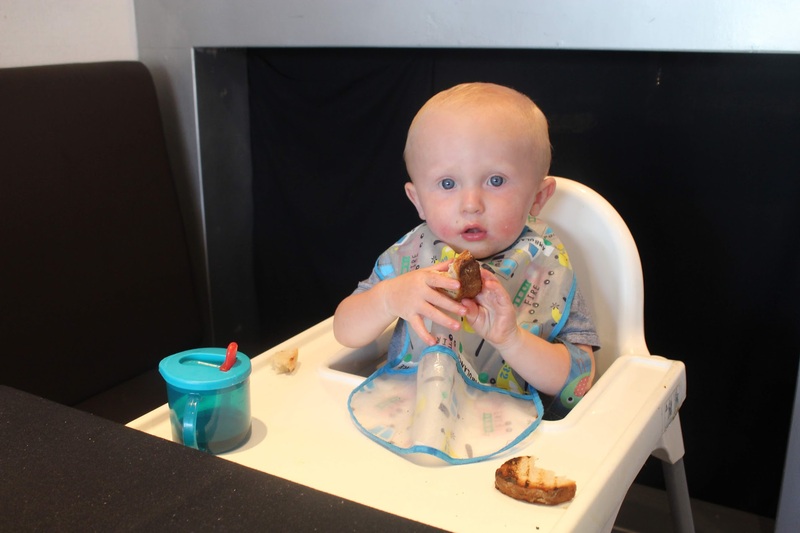 Although a small venue, Ti Amo immediately had a warm, friendly feel about it when I arrived along with my husband James, baby Tom and my parents. Straight away the staff were very considerate of an active toddler wanting to explore the restaurant, playing with him and asking if we wanted some nibbles to help tempt him into the high chair which worked a treat! Fresh bread, dipping oil and olives – perfect. Thomas get stuck straight in! Our waitress told us about a set menu offer which although isn’t available in conjunction with the Dine discount, we opted for this as it was very reasonable. Usually specialising in tapas, we all fancied a proper meal so chose from the set offerings. 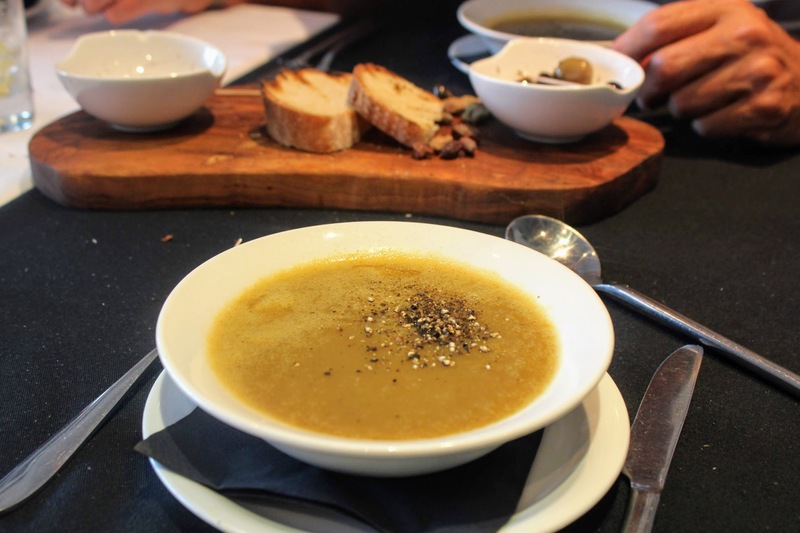 Dad, Mum and I had the vegetable soup which was full of flavour, just the right amount of seasoning and had that homemade feel about it (always a good thing!) while James (obviously) went for the breaded green jalapenos with cheese which he said were fantastic – perfectly crispy, the right balance of heat from the chillies and creaminess from the cheese. 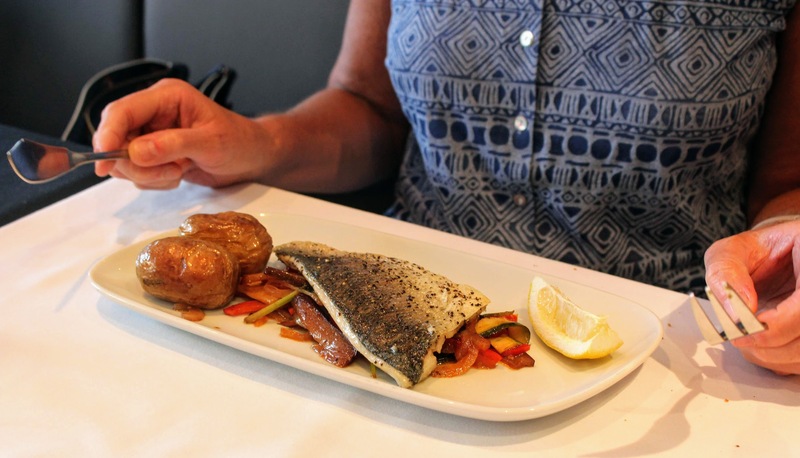 Mum was impressed with her sea bass with Mediterranean vegetables and roasted baby potatoes for her main, which was cooked to perfection and although a relatively simple and light dish, had plenty of flavour from the herbs and the skins on the potatoes were that right amount of crisp. 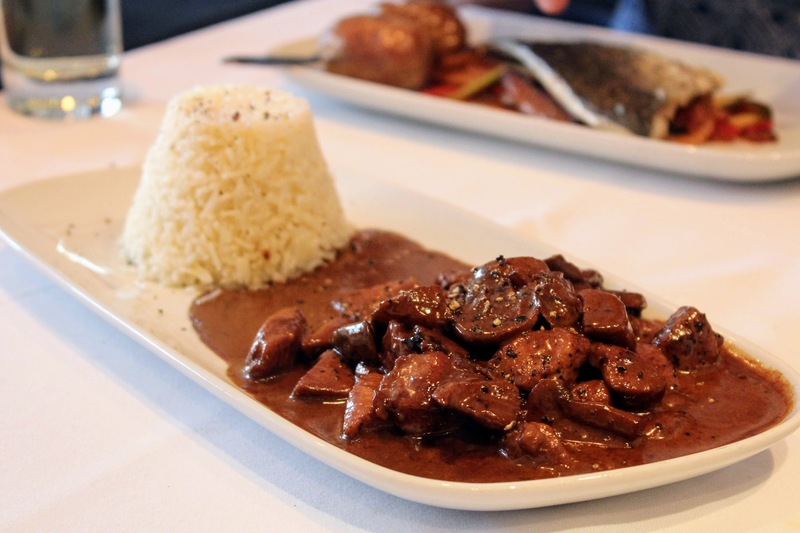 Dad and James both loved the chicken stroganoff with rice, a more substantial dish but tasty and rich with a generous amount of sauce and rice to soak everything up. Thomas wolfed down his chicken nuggets and chips – a nice little treat! 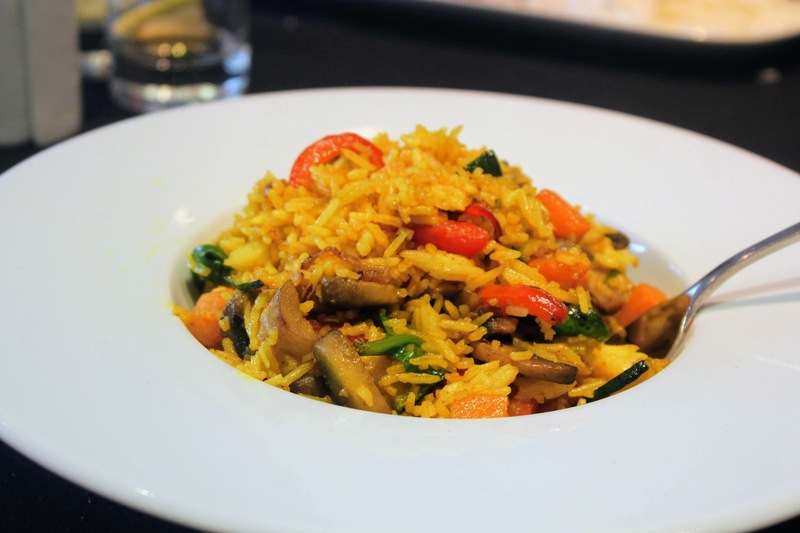 – while I was very pleased with my colourful, satisfying vegetable paella – ideal for a hot summer evening. You know when you’ve had a starter and a main and you’re pretty full but order dessert anyway? 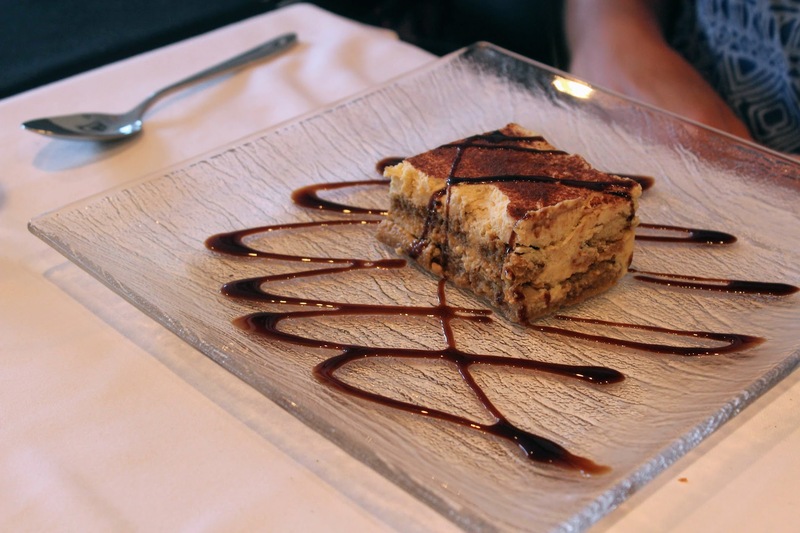 That’s what we did – of course, it was part of the set menu anyway but the portions were decent for the first two courses which is definitely better than being served too little! As part of the children’s menu, Tom’s came with a choice of dessert so predictably we ordered him ice cream which was gone in a matter of minutes. 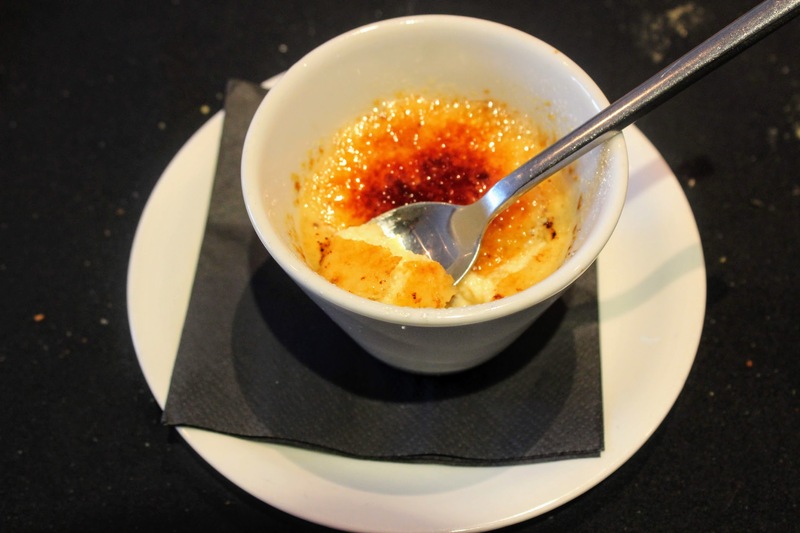 My creme brulee was a ramekin of deliciousness – creamy, rich and the right amount of sweetness with that perfectly crisp shell on top. I consciously ate it slowly to savour every mouthful! 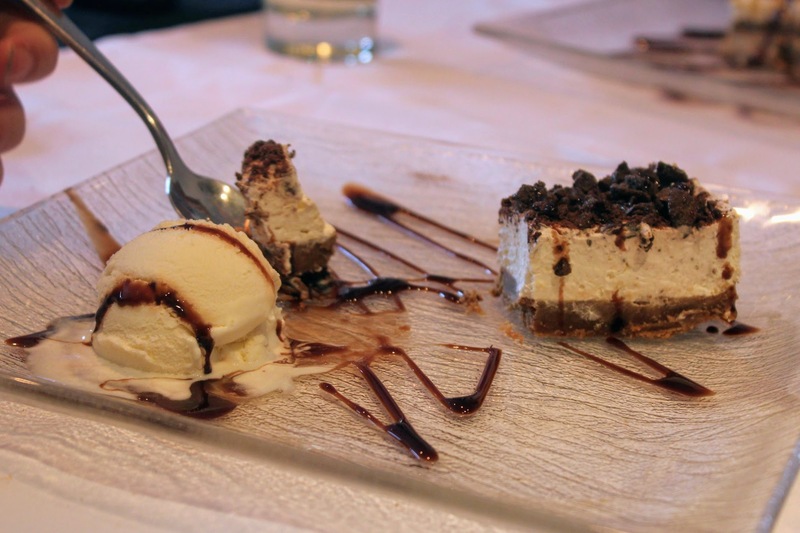 Dad and James truly enjoyed their cheesecake which was presented nicely and came with a cheeky scoop of ice cream. Again, another crowd pleaser and an example of a simple thing done very well. The tirumasu, according to Mum, was one of the best she’s had – and that’s saying a lot! NOTE: Just to re-iterate that the Dine discount cannot be used in conjunction with any other offers or special promotions. This is an advertorial in collaboration with GoCompare.